Many Chevrolet vehicles between 1993 and 1998 utilized the 4L60E Transmission, and now, many consumers are even using after-market computer systems to retrofit their vehicle with this amazing GM Automatic transmission. The transmission has no reverse. The first culprit I would look at is the low reverse clutch pack. Chances are the clutch disks simply worn out. If this is the case, you are bound to find a lot of debris in the transmission pan. If no debris is found in the pan, I will turn my attention to the valve body. There may be a leak in the reverse circuit, possibly caused by a blown valve body gasket or the valve body might be warped. Last, but not least, check the booster valve. It’s easy to gain access to it by removing the transmission pan. Look for signs of wear. It could also just be stuck merely in its bore. The first to second gear shift is late and harsh. This problem can be usually be traced back to the TPS (throttle position sensor) being defective. You will need a volt meter to test the TPS. With the ignition on, check the voltage on the TPS. It will vary as you move it. The voltage should increase or decrease in a smooth linear line. If it does not move smoothly, you will need to replace the TPS. Refer to the shop manual for the correct voltage readings for your specific vehicle. The transmission experiences a shudder when shifting from first to second gear under full throttle. You need to take a look at the 1 -2 accumulator. First, check the condition of the spring found inside the accumulator. You want to make sure it is not broken. Next, take a look at the accumulator piston. Inspect it for cracks. Finally, take a look at the bore in which the piston rides in. Make sure the walls of the piston bore do not have any heavy scuff marks. Think of it as you would taking care of a new pair of shoes. You don’t want scuff marks, not just because they don’t look good, but they signify wear and tear. If it does, clean it them with a piece of emery cloth. Be sure to clean the bore with Brake Clean when done. 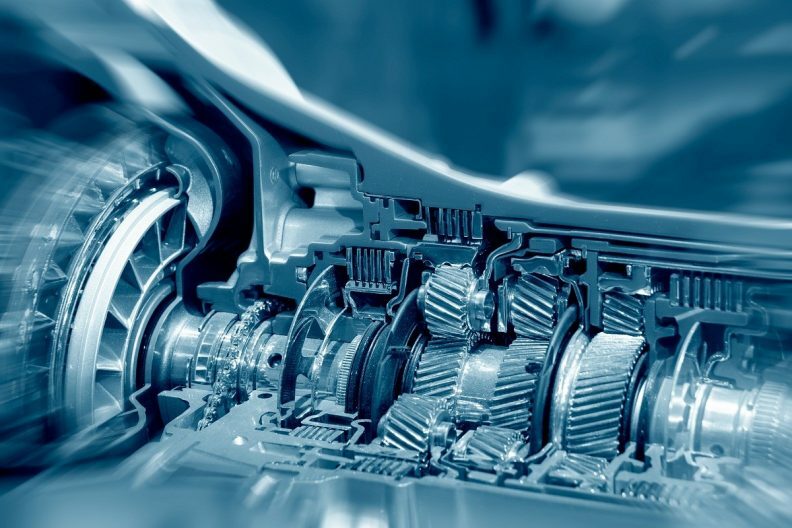 Knowing about the most common problems with the 4L60E transmission will help keep your shop one step ahead of the competition! If you come across a customer’s 4L60E that requires more than a simple in-car fix, consider recommending to them that they replace it with a re-manufactured transmission instead of one that merely has been rebuilt.